Thanks to everyone who took part in the June Raffle, please see winners below. Thanks to everyone who took part in the May Raffle, please see winners below. Thanks to everyone who took part in the April Raffle, please see winners below. Thanks to everyone who took part in the March Raffle, please see winners below. Thanks to everyone who took part in the February Raffle, please see winners below. Thanks to everyone who took part in the January Raffle, please see winners below. Thanks to everyone who took part in the December 2015 Raffle, please see winners below. Thanks to everyone who took part in the November 2015 Raffle, please see winners below. 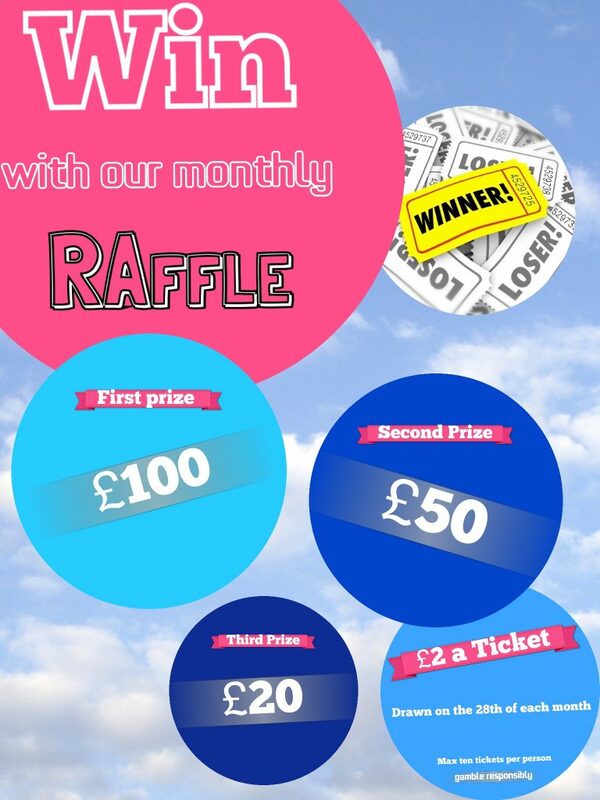 1) Request tickets by emailing us on raffle@hese.org.uk or by phoning us on 0800 002 9166. We’ll send you your tickets by post. 2) Return your payment and completed tickets to us. 3) We’ll be-touch if you’ve won! A big thank you to those who took part in the raffle just gone.